Your future largely depends upon you and the strength that you were born with, the strength that must now come to the fore in the Knowledge that God has placed within you, which alone knows the way forward. For the great times are upon you. This is your time. This is your calling. This is where your real strength will be found. 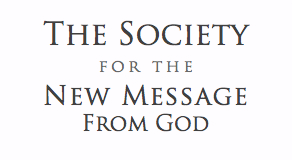 There is a New Message from God in the world. Humanity now has great hope. For the first time, spirituality is being presented at the level of Knowledge. It is a great calling. It is a great gift. It brings with it wisdom beyond what humanity has ever established. It calls people out of the shadows—out of conflict, out of controversy, out of addiction and out of tragedy to respond to a world in need. The New Message speaks to the great need of the world—the Great Waves of change and the Greater Darkness of intervention that is in the world. It speaks to the greater purpose that has called everyone here. It speaks to the power of Knowledge and reveals how Knowledge can be discovered and experienced. It speaks to the level of relationships that people must establish if they are to find real union and power through one another. It speaks of humanity’s future within a Greater Community of intelligent life in the Universe and the great threshold that humanity must pass through to find its greater destiny and fulfillment. You are blessed then to receive this message, to be alerted to the Great Waves of change and to the Greater Darkness that is in the world. You have time to become aware, to brace yourself, to prepare your life and to receive the guidance that God has given you, both through the New Message and through the Knowledge that you were born with, which is God’s greatest endowment to you and to the world.